For once it looked as though "American Idol" 2014 would lag behind previous seasons after last week's disappointing live performance but the contestants saw lots of improvement on Wednesday. 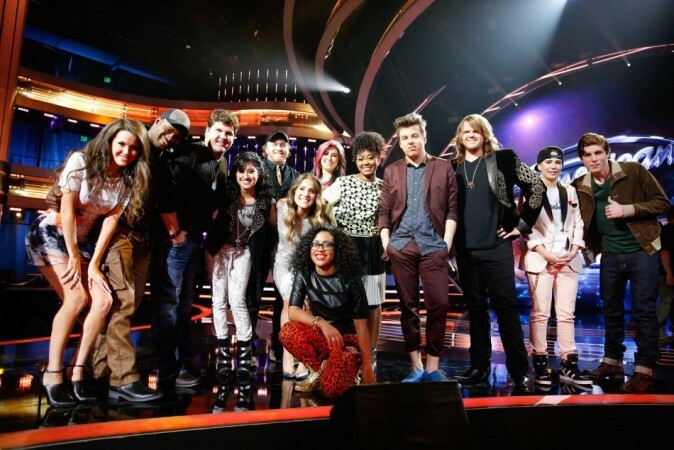 For instance, Malaya Watson was in the bottom three along with Kristen O'Connor and MK Nobillette last week but she was a different person on the last episode, belting out Tamala Mann's "Take Me to the King" like no one else and impressed judges - Keith Urban, Harry Connick Jr. and Jennifer Lopez. Performances of other contestants were also relatively better this week. Jena Irene: She sang KT Tunstall's "Suddenly I See". Her stage presence was good and and her performance was ok but she should have chosen a song that exposes her talent a little more. Harry Connick Jr. said that she should have pumped in more power into the song. Alex Preston: His rendition of Gavin DeGraw's "I Don't Want to Be" was good and showed lots of character. The judges were a little critical of the arrangement but that's part of the game and people have different tastes. Jessica Meuse: She sang "White Flag" by Dido, and it was a disappointment. There was emotion but she seemed to have pitch issue and went off key in parts. Dexter Roberts: He rendered Montgomery Gentry's "Lucky Man" and it was a good song choice though some may think that he was too slow. Overall, his performance was good. Emily Piriz: How dare she sing one of the judges' songs? Well, Emily dared to sing "Let's Get Loud" by Jennifer Lopez and her performance was ok. She owned the stage and seemed to enjoy the experience but Harry Connick Jr. thinks the "production was too much for her." Caleb Johnson: He sang the song, "Working Man" by Rush, and it was a good performance, perhaps one of the best on the night. His song choice may be a little predictable but he has the voice and talent. Public will expect something very different from him in the next episode. M.K. Nobilette: She rendered "Drops of Jupiter" by Train but it seemed like she was not comfortable. A different song choice would have made a sea difference. C.J. Harris: There was passion in his rendition of John Mayer's "Waiting On the World to Change" but it was not his best when it comes to vocals. Sam Woolf: He sang Blind Pilot's "Just One" and it was good. He has good voice and style too. Harry Connick Jr. opined that Sam should grow emotional but Keith Urban thought he was great. Malaya Watson: After landing in the bottom three last week, she sang Tamala Mann's "Take Me to the King" with so much conviction. She has the grace and range, and it was of the best performances of the night. Jennifer Lopez said she felt like Malaya was telling a story. Ben Briley: His rendition of David Nail's "Turning Home" was solid and passionate. His stage presence might not be good but it doesn't matter much with a performance like that the audience. Majesty Rose: She sang Coldplay's "Fix You" and it was a good rendition though there was pitch problem for once. Her performance was solid in totality and she looked poised on stage.